I’ve had many conversations with clients about how to successfully moderate comments to their social media profiles. Specifically, we talk a lot about how to deal with negative comments and things that gum up a page’s flow. 1. You’re the boss. Even though social media is all about sharing and building community, it’s still your (or your company’s) personal space. That means you control what’s there. Just because someone posts something to your page doesn’t mean it needs to stay there. That’s an important place to start. 2. Know the face of crazy. Remember the “runaway bride” who left her husband-to-be and invented a story that she was kidnapped, sparking a week-long manhunt? Remember that look she had in her eye? That’s the “face of crazy,” and that’s what you need to keep off your page. 3. Welcome real criticism. It’s embarrassing to be called out in public as having made a mistake or given poor service. Our first reaction may be to hit the delete button, to hide it from the rest of the world. But how amazing would it be to demonstrate – right there in front of everyone else who’s looking at your page – an effective response to the stated problem? You’d probably win some new fans and reinforce your existing relationships too. When it’s level-headed and fair, let the negative comments stand – with your response, of course. 4. Don’t touch the poop. This is a phrase I taught my son during early diaper-changing sessions when he started to use his hands to explore.. down there. It worked, too; it’s now our little joke about how to deal with life’s little struggles. So make it your mantra too; feel free to delete comments that are clearly spammy or out of context with what you’re doing on your page. When in doubt, see #1, above. 5. Rely on your community. It seems everyone who takes to social media to complain about what irks them does it with the nuclear intensity of a teenager throwing a hissy fit. If you are dealing with a controversial issue, you might consider asking others to chime in on the topic, to see if the complaint is limited or chronic. You might even get some people to stand up for you. These are some initial thoughts.. what are your ways of dealing with negative social media posts? #4 cracked me up… especially since my son just found his ‘you know what’. Great tips in here. 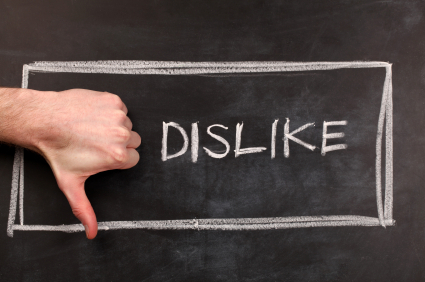 Great Tips Jody….everyone always wants to avoid the negative comments…but answering them in a positive light…usually puts you..and your company in a positive…and trusted light! I like what you said about leaving the negative comments up. It makes me think of how I’ve gained loyalty from clients because of how I handled a mistake, when I wouldn’t have gained that loyalty if I hadn’t made the mistake in the first place. Not the same thing of course, but based on the same psychology. Couldn’t agree more Marshall! Hope you are doing well. Nice post, Jody…..I, too, agree that it sometimes it could work to your advantage if you acknowledge a mistake or address a (constructive) negative comment. There’s nothing wrong with acknowledging a mistake — we all make them. To hide or delete it just makes one look pompous (or even cowardly). If you take a deep breath and respond in a polite, civil manner it would show a lot of class…… something that is, sometimes, all too rare on “social” media postings.